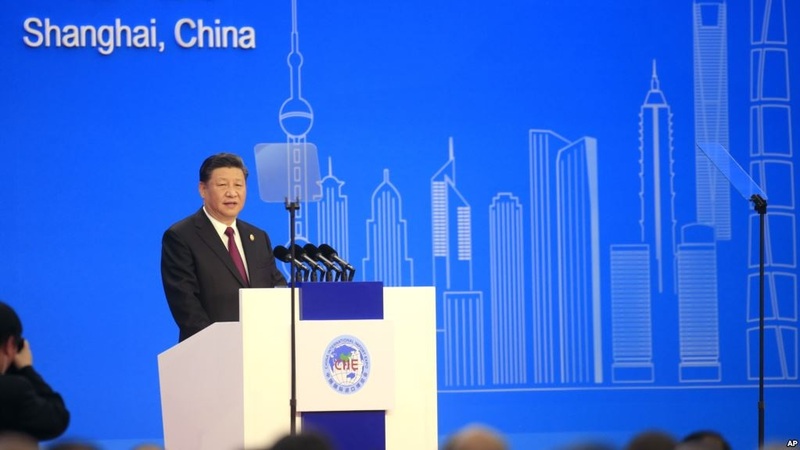 President Xi Jinping promised Monday to open China's growing consumer market wider, seeking to defuse complaints Beijing abuses the global trading system. 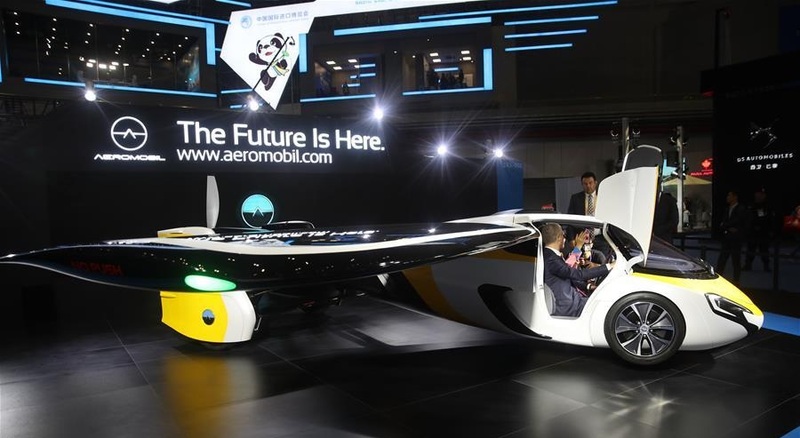 But in opening a high-profile import expo in Shanghai he offered no response to U.S. and European complaints about technology policy and curbs on foreign business. 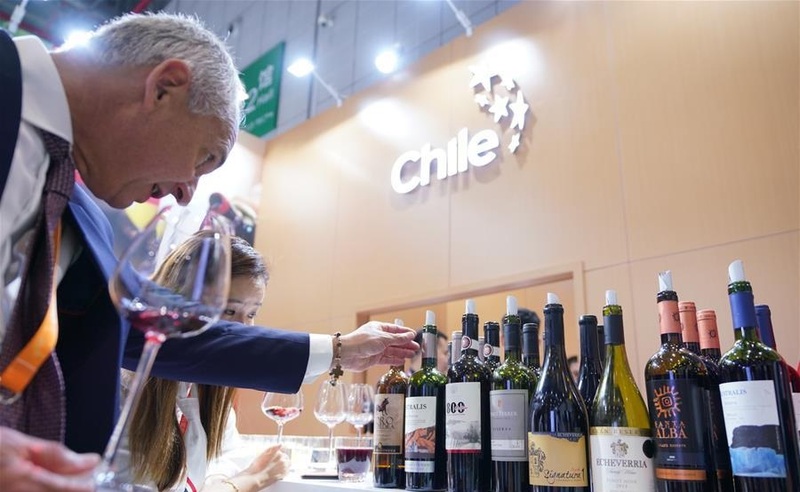 The China International Import Expo is part of official efforts to defuse trade tension while resisting pressure to roll back industry plans that Washington, Europe, Japan and other governments say violate its market-opening obligations. "It is our sincere commitment to open the Chinese market," Xi said in a speech to a VIP audience that included Russian Prime Minister Dmitry Medvedev. Xi promised to "stimulate the potential to increase imports," including by cutting costs for importers and improving consumer spending power. Some 3,600 companies from 152 countries selling everything from Egyptian dates to German factory machinery are attending the five-day event at a Shanghai convention center that bills itself as one of the world's biggest buildings. Business groups complain that while Beijing is expanding imports to serve its manufacturers and consumers, it blocks access to industries including finance and logistics. They say regulators are trying to squeeze foreign competitors out of promising fields such as information security. Xi gave "few specific solutions that address the concerns of the foreign business community," Kenneth Jarrett, president of the American Chamber of Commerce in Shanghai, said in an email. 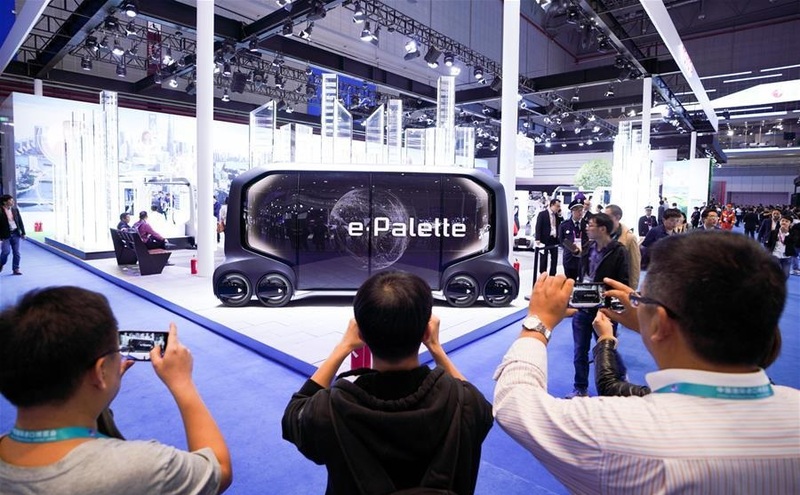 Jarrett noted that Xi promised better protection of foreign patents and other intellectual property, which companies complain are copied or improperly used by Chinese rivals. But he said companies need to see enforcement "before we know if this commitment is real." Prime ministers and other senior officials of governments including Egypt, Hungary, Pakistan and Vietnam also were attending the fair. The United States — China's biggest trading partner — had no plans to send a high-level envoy. 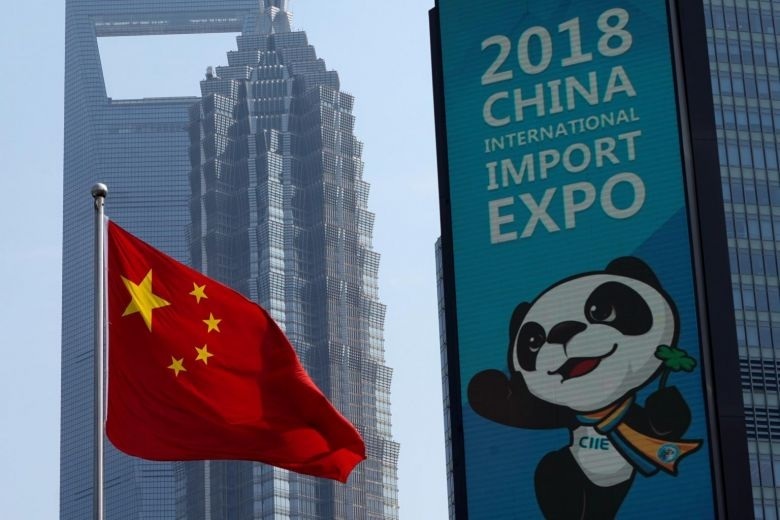 The expo is "likely not a huge benefit or attraction for U.S. companies," said the chairman of the American Chamber of Commerce in China, William Zarit, in an email. "Many may be attending because they think it is politically smart," said Zarit. "However, unless some of the protectionist trade barriers currently in place are changed, it won't make much difference either way." Xi made no mention of Beijing's fight with President Donald Trump over Chinese plans for state-led development of technology industries. But in an indirect reference to Trump's "America first" policies and threats of import controls, he appealed to other governments to "jointly safeguard free trade." Chinese leaders have rejected pressure to roll back plans such as "Made in China 2025," which calls for state-led creation of global champions in robotics and other fields. Last week, Trump and Xi had what China's foreign ministry called an "extremely positive" phone conversation. They plan to meet during this month's Group of 20 gathering of major economist in Argentina, but private sector analysts say a breakthrough is unlikely. The fight has added to challenges for communist leaders are who trying to shore up economic growth that slumped to a post-global crisis low of 6.5 percent over a year earlier in the three months ending in September. They also are struggling to revive confidence in a stock market that has tumbled 25 percent this year to become the world's worst performer. Xi acknowledged some Chinese industries face "growing risks" but said efforts to shore up growth are already paying off. He said China's $12 trillion-a-year economy is "a sea, not a small pond" and can withstand shocks. The expo fits in with Beijing's quest to develop a trading network centered on China and increase its influence in a Western-dominated global system. China already is the No. 1 market for its Asian neighbors and is promoting its multibillion-dollar "Belt and Road" initiative to expand commerce by building ports, railways and other infrastructure across 65 countries from the South Pacific through Asia to Europe and Africa. 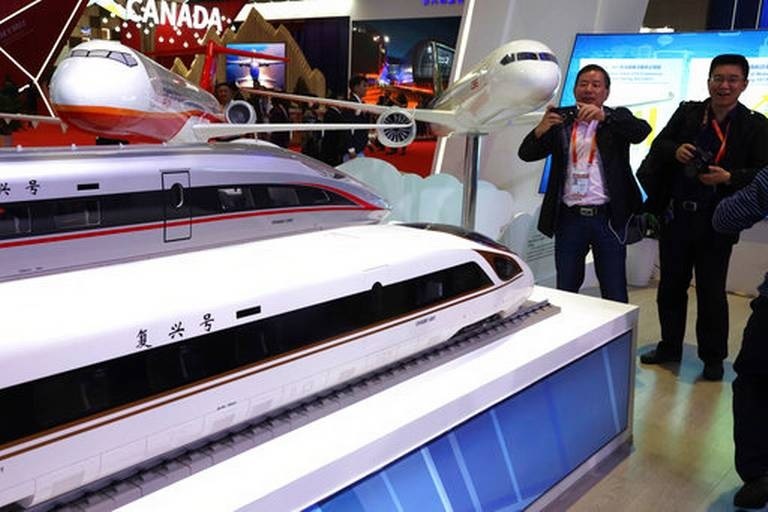 The fair lets Beijing show it is "making efforts to boost imports," said Rajiv Biswas, chief Asia economist for IHS Markit. But it is "unlikely to have much impact" on its politically sensitive trade balance with the United States.